~This is Chikane Himemiya's mark. Mine, to be more specific. It is the mark of the lunar priestess and is typically located on the back of the neck, right upon the first thoracic vertebrae or last cervical vertebrae, depending on your personal judgment. It normal isn't very prominent and does not glow often. However there are occurrences where it does glow, most obviously with the emotion pain, something that Chikane hides well. So why wouldn't it glow all the time, if that's the case? Well, pain as in agony should be more exact. 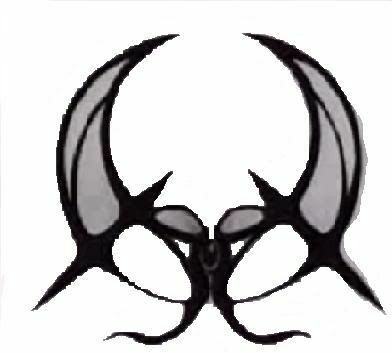 ~This mark is one of the evil forces that are in opposition, directly, with the priestesses. Their goal is to seek total and ultimate destruction upon the world as it stands now and to rebuild it into a utopia of their ideals, of darkness, of their personal desires, which are tinged with obvious dementia. However, Souma is one of the strongest Orochi there is as the evil blood courses through his veins. He fights it in order to fend off the other Orochi and protect Himeko, his love stronger than his bloodline. However, though this is seen a few times during the show in various other places, it mostly appears on Souma's forehead and glows whenever he summons his robot to fight the others. Even when another Orochi is near. It glows a purple light and is turned to a brighter white light whenever Himeko is around him since she lends him her strength, as the Solar Priestess. ~Last but not least. 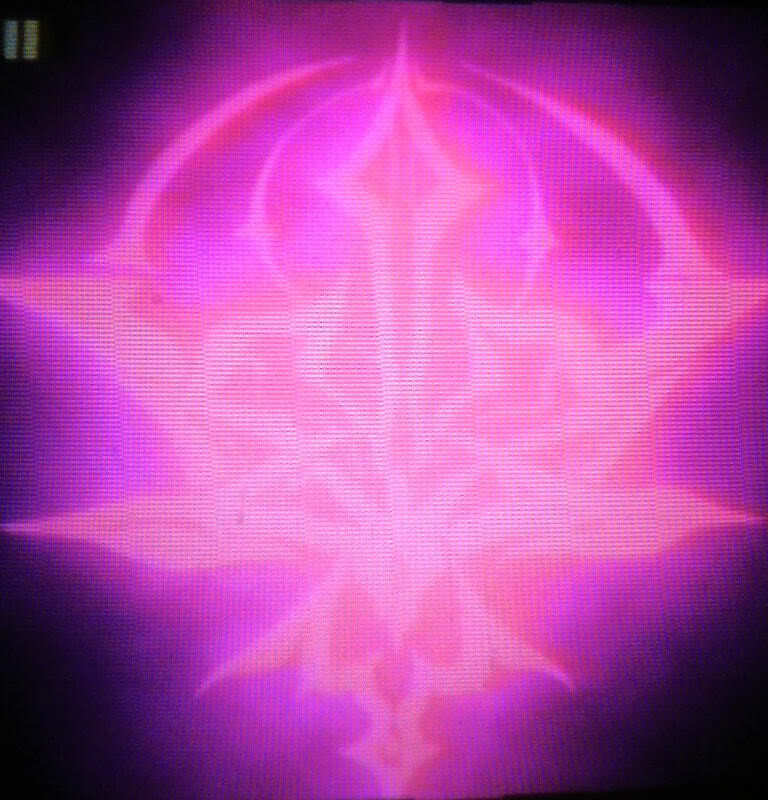 This is Himeko's symbol. It is located clearly on her chest, right in the center, where her sternum is. It glows a bright white light whenever she feels some sort of empowering emotion. She can lend her strength to others, she can give herself a bit more strength and it wards off darkness most of the time with its light. This only indicates that she is to fill the role of the other priestess, this is the mark of the Solar Priestess. It glows quite frequently, why is that?